Atascadero Art and Wine Tour is Friday, June 6, 2014 - 5:30-8:30! 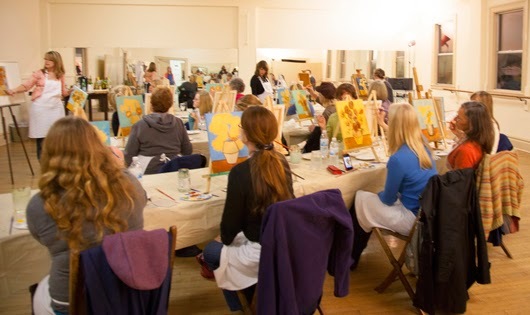 Come by Studio 101 West to have a preview of what happens in one of Deborah Swanson's My Masterpiece classes. Wine tasting will be available by our favorite "artistic" winery, Sculpterra. Many businesses in the downtown district keep their doors open late, hosting an artist and a winery. It is a lovely evening to stroll through your very own downtown art district. Unlimited wine tasting wristband are available, the night of, for $10 at the corner of Traffic Way and Entrada. Seats are limited – advanced registration is necessary for all classes. Information will also be available on Studio 101 West Photography, Studio 101 West Marketing & Design, Miss Matisse Dance, and Elevé Barre.